I was cleaning up the bathrooms in our home a few weekends ago, and started sorting through the pile of magazines on the floor for recycling. “Wow,” I thought to myself. “There’s a whole lot of InTouch and Life & Style in this pile. No wonder Noah (my 9-year-old) was asking me the other day why Teresa was in prison.” I used to try and hide the magazines under more respectable publications like House Beautiful and The Writer but I guess I’ve been getting sloppy lately. Cover blurbs really are important. Part of me groans when the time comes to put cover blurbs on the parenting magazine I edit. After working for the magazine for three plus years, I sometimes struggle with new ways to come up with teasers for evergreen topics like “back to school,” “summer fun,” and “summer camps/birthday parties.” But if I want readers to pick up our magazine, every word on the cover counts. Because let’s face it, I’m not sure I would have picked up the April 6 issue of a certain gossip magazine if the headline “540 Days Without Daddy: Why Tom Has Stayed Away From Suri” hadn’t screamed out at me. Longer is not always better. I’ve been known to stress myself out when trying to come up with original content pertinent to our magazine. But when I flip through many magazines (and not just the celebrity ones) I find I enjoy the short “filler” pieces just as much as the in-depth articles. A few months ago I was reading a Facebook status from one of our local television news anchors, who often posts cute anecdotes about her kids. She had just picked up an Emmy, and I thought, “I should e-mail her and see if I can interview her for the magazine! I’ll bet our readers would love it.” I sent her a note that day, she responded immediately, and I sent her a few questions. 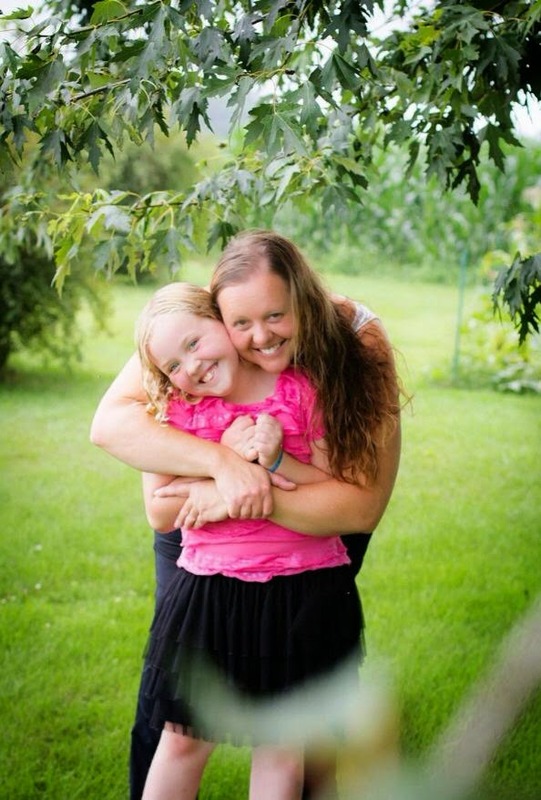 We ran her interview with some snapshots of her kids and titled the short piece “Motherhood Musings.” She was thrilled, our readers enjoyed it, and the whole thing took hardly any time at all. So as silly as the “Night at Home with a Celebrity” column can look at first glance, it’s fun and entertaining for those of us who like to read about “lighter” topics from time to time. Certain subjects can find a home in almost any magazine. 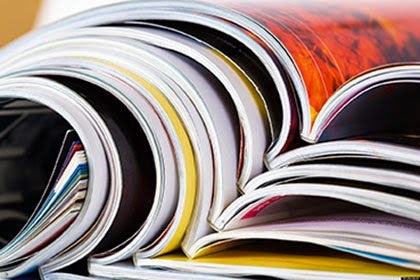 Flipping through any one of my celebrity or women’s magazines, I find multiple articles focusing on nutrition, books, movies, fashion and exercise. Looking over the latest editorial budget for our magazine, we’ve got an article planned on “How to Make a Salad Your Kids Will Eat,” a picture book review, a column on maternity wear from our mommy fashion blogger, and a regular section on “Fit Fun,” which announces local races and sporting events families and kids. So the next time I’m stumped on article ideas, this means I can head to the grocery store for my celebrity gossip fix and writing research, right? 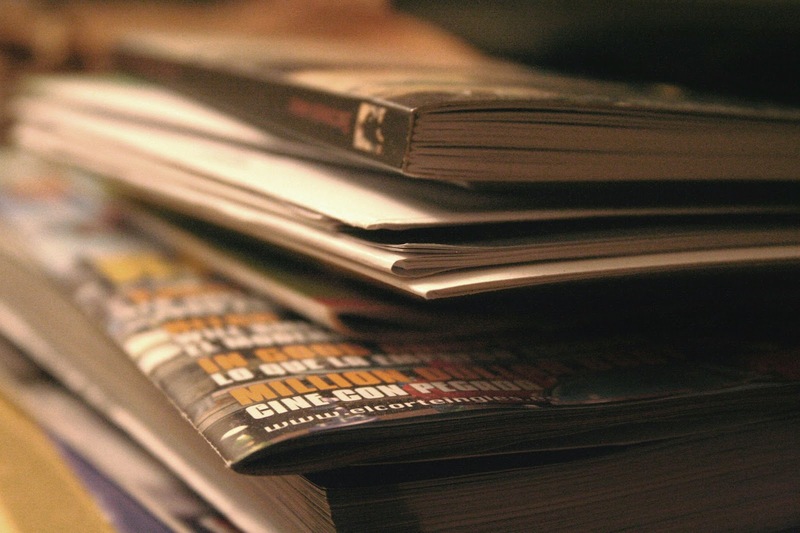 Are you addicted to any specific types of magazines? Do you ever use them to get ideas for your own writing? Renee Roberson is an award-winning writer and editor who once got to interview celebrity gossip blogger Perez Hilton, and believes that never would have happened if not for her hopeless addiction to celebrity gossip. She blogs about pop culture, writing, books, and everything else in between at Renee's Pages. Anna was a really good character and she is trustworthy and thoughtful. She was always worried about her sister and brother. I thought a lot about journaling after reading Finding My Place: One Girl's Strength at Vicksburg. If my mom died at a young age and had us, I would write down all the stuff I usually talk to her about and I would be really sad. I think it must have been hard for Anna. She is really strong; I admire her. This book really kept my interest and I enjoyed reading it. Sometimes it was happy and sometimes sad, I really enjoyed the ups and downs. If I could ask the author, Margo Dill, any questions at all, I Would ask how she picked the title and then I would tell her how pretty the cover is. I would definitely tell my friends they should read Finding My Place. The civilian side of the war is shown from a young girl's viewpoint. • Maggie Mae, Detective Extraordinaire: The Case of the Missing Cookies (Guardian Angel Publishing, August 2014): Picture book about a young girl who solves her grandma’s missing cookies case by finding clues, interviewing suspects & setting a trap. 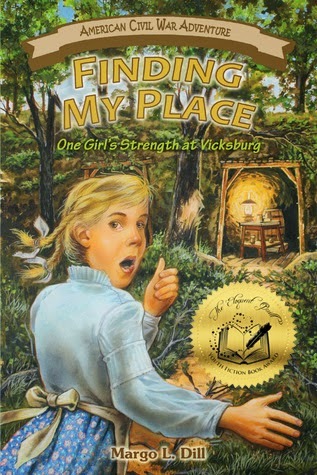 • Finding My Place: One Girl’s Strength at Vicksburg (White Mane Kinds, October 2012): Middle-grade novel about a 13-year-old girl who survives with her family during the Siege of Vicksburg in 1863 (Mississippi). • Caught Between Two Curses (Rocking Horse Publishing, March 2014): Young adult novel about 17-year-old Julie Nigelson who is caught between a deadly curse on her family and the curse on the Chicago Cubs. Besides these books, I’ve also been published in magazines, newspapers and anthologies, and I continue to write a weekly review column for The News-Gazette in Champaign, IL. I also blog on Tuesdays at The Lit Ladies blog and about three times a month at The Muffin at WOW! Women On Writing. I am also a writing teacher for WOW! Women On Writing, where I teach novel writing and writing for children. You can check out those classes here. If you are in the St. Louis/St. Charles, Missouri area, I teach adult education novel writing courses for St. Charles School District Adult Education, which you can check out here. (Click on WRITING, and these classes are listed under my married name, Balinski.) I’ve done numerous workshops and reading nights around Missouri and Illinois for students, teachers, writers and community groups. To find out more about my speaking, please click on the speaking link above. Besides speaking and writing, I am also an editor with my own business, Editor 911. I do work for both businesses and individual authors, focusing on copy editing, copy writing, proofreading and ghost writing. This all keeps me pretty busy, but I also enjoy being a mom, the Missouri SCBWI webmaster, and a member of a MOPS Steering Team in St. Louis. I love reading, walking, playing with my dog, touring around St. Louis with my family, eating out, going to the movies and playing outside. Carmen just turned eight years old and lives on a dairy farm. She has over 200 animals on her farm. She has three siblings in her house: Andre (7), Breccan (1), and Delphine (2 months). Her parents are Mark and Crystal Otto. Carmen helps her mom with book and product reviews and you can find her blogging at Bring On Lemons (she would also like to add that the money her mom is paying her to write this book review will go directly into her savings account). Tomorrow, I’m hosting one of our WOW! blog-touring authors and I hope you’ll jump over and give a read to the post—it’s good stuff! But…um…I almost didn’t sign on for this tour. You see, authors often have a handful of prepared posts for tours, and when I checked the author’s available posts, I didn’t see what I wanted. That is, I didn’t see a post having anything to do with writing, and that’s the topic (besides me) that I cover on my blog. So I contacted the tour manager and asked if the author could provide something about his publisher, or something about his writing journey and helpful tips for my readers. Not a problem, said the tour manager. And by golly, the author wrote exactly what I wanted—and I was delighted. I’m sure my blog readers will be, too. It seems easy enough, doesn’t it, to give an editor or a publisher or even a lowly little blog host like me what they want? But you would be surprised how often writers push back, and in doing so, hurt their chances for success. Take, for instance, a magazine that accepts personal essays. Imagine you are the editor and three different, well-written essays come across your desk. *Strictly follow the submission guidelines provided. *Be professional, friendly, and courteous. There’s a world full of skilled writers out there, but you can jump the line pretty easily. Just give the industry professionals what they want and watch your successes stack up! I read a discussion on a forum about whether an editor needs to be a good writer. The conversation then moved into whether a writer needs to be a good editor. As a writer and an editor and someone who teaches editing (and sometimes teaches writing), I thought about that discussion throughout this week. Even though I thought I'd write a different post, this is what stuck with me. 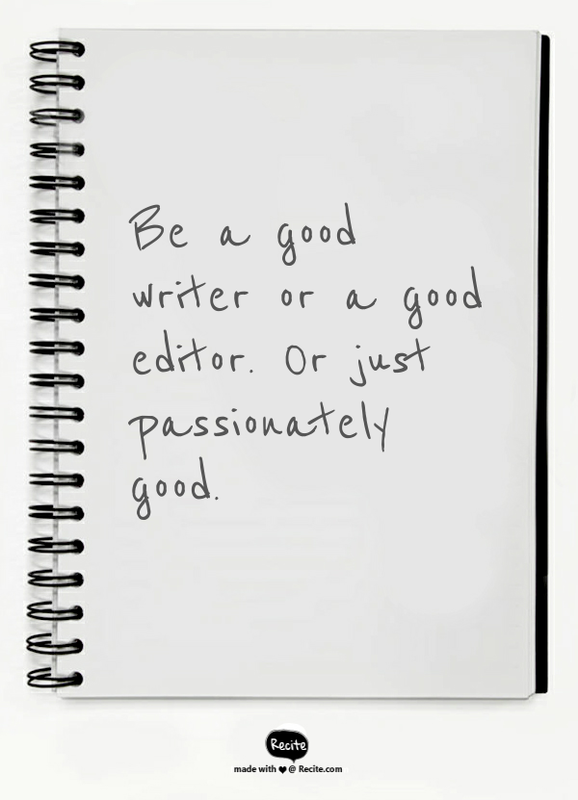 For the most part, I think that writing and editing are skills that must be practiced. In exercising those muscles, I’m not sure if that makes you good at either. But it does give you fluidity and confidence in those skills. Does the fluidity and confidence make me good? It may. During times that I am more of an editor than writer, I find myself doubting my writing skills. When that happens, I pull out my journal and focus on writing more. The same is true for my editing. If I’m away from editing for too long, I find myself with a bumpy re-entry patch. In my teaching, I find the more confident students are with a skill, the better they are with that skill. Although they may be exercising relatively new “muscles,” the more these students practice, the better they become. The better they become, the more confident they are. They become good editors or writers. And their passions grow from there. What I don’t see in discussions about whether someone is good at one thing or another is: What are their passions? Because I am a much better writer when I am focused on my writing, then I am more likely to feel that I am a good writer during those times. But I’m passionate about words and I’m passionate about communicating ideas. When I’m editing, I balance my writer’s feelings and am sensitive to how a writer will accept the changes I am suggesting. When I’m writing, I try to provide clean copy so that the editor down the line will focus on what I’m saying and not mechanics. In these ways, I believe a good writer and good editor can interweave. I do think that good editors can be sensitive to writers, even without necessarily having a writer’s sensibilities or a good writer. And some writers, who may edit, aren’t always adept to the skills of a trained editor. I started writing and studied it because I enjoy working with words. When I had an opportunity to learn to edit from one of my mentors, I took it. I love both of them and, hopefully, I’m at least decent (if not good!) at one or the other of them. I know for a fact that I’m passionate about both. 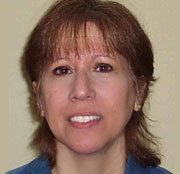 Elizabeth King Humphrey, editor and writer, lives in coastal North Carolina. She's going to go indulge in her passions for a little while. See you soon! Stalled brain syndrome, or SBS, will kill a writer’s career. SBS occurs when a writer opens a new, blank document on her computer only to find her mind is just as blank as that new document. The harder she tries to think of a subject, a sentence, or even a single word, the more despair she feels. Instead of writing, she checks Facebook or watches YouTube cat videos. An opportunity to write, to publish, is wasted. I had fallen victim to SBS too many times before I decided to fight back. I bought a dirt-cheap spiral notebook and divided it into two categories: Fiction and Non-Fiction. I wrote a story, article, or blog idea in one of those sections every day for the past year. At the end of 2014, I had created my own remedy for SBS, a notebook with 365 customized story ideas and prompts. This is not a revolutionary idea. Throughout history, writers such as Mark Twain, Ernest Hemingway, and Virginia Wolf have kept notebooks. But why not just Google “daily writing prompts” and find a website to provide inspiration? Although that works for many writers, my brain remains stalled until I find a prompt that is customized to my interests and experiences. By investing less than two minutes every day to write in my notebook, I created my own muse. My notes weren’t lengthy, just enough to let my imagination fly. For the fiction list, I jotted down snippets of conversation I’d heard in the grocery store, weird news I’d heard on the radio, and old wives’ tales my hair stylist loves to share. Childhood memories, gardening issues, and insights from Bible readings filled my non-fiction section. I soon discovered that my writing prompts didn’t stay locked in their respective sections, they jumped around and even multiplied. Many of the non-fiction prompts that I had planned to write as memoir pieces worked better as flash fiction or as scenes in my novel or both. Beside many of my entries, I scribbled notations such as “blog” or “devotional” to make them easy to locate later. To an outsider, my notebook looks as messy as my desk (okay, not that messy) but that’s the beauty of it: personalization. Now that I have over 365 writing ideas, have I stopped? No way. This notebook has provided inspiration for far too many published stories and articles for me to kick the habit. John Steinbeck, another notebook user, said, “Ideas are like rabbits. You get a couple and learn how to handle them, and pretty soon you have a dozen.” I respectfully disagree, Mr. Steinbeck. Pretty soon you’ll have hundreds. Stalled brain syndrome never stops stalking me. At least now when it threatens, I’m not a victim. I know how to fight back. When my mind goes blank, instead of opening Facebook, I open my notebook and scan its pages for writing ideas customized just for me. No more wasted opportunities to write. No more stalled brain. 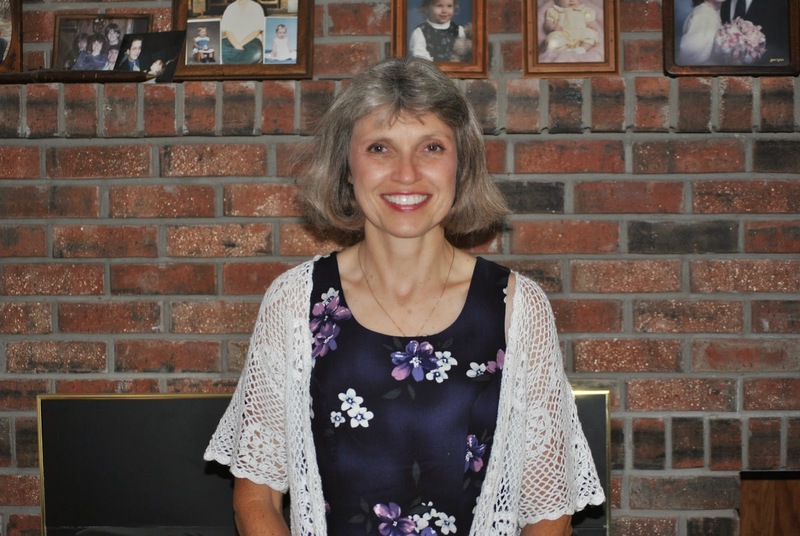 Terry Cobb resides with her husband on a farm in north central Missouri where she writes short stories, devotionals, and novels. She also blogs about gardening, her other love and challenge, at www.whatsinyourgarden.wordpress.com. I had always been a “yes” woman. You know, that woman who wants to make everyone happy, not ruffle any feathers, and above all, lend a helping hand. You must be able to relate? Well, at the beginning of this year, I decided it was time to become a “no” woman...unless the things or opportunities being asked of me were a “hell yes.” That means that I had to almost jump up and down with excitement in order for someone to get a “yes” from me. There were a few events that prompted me to change my mind from being a “yes” woman to a “hell yes”...or in other words, a mostly “no” woman. Second, I realized that I was spending waaaayyyy more time with other people...great people like my friends and business colleagues, and not-so-much time with the most important person in my life: my husband. Third, I wanted to ensure that I had time in my schedule to work on hobbies and crafts that I truly enjoy—like scrapbooking, calligraphy, reading, etc. Because of all the “yeses” I had been dishing out over the years, I didn’t have time in my schedule for the activities that fueled my spirit. Now, there was just one problem with becoming a “no” woman, after a lifetime of being a “yes” woman: I had to get over the feeling of letting others down and/or feeling guilty. This took courage! I actually set out to say “no” 14 days in a row to things that I didn’t feel deserved my time. 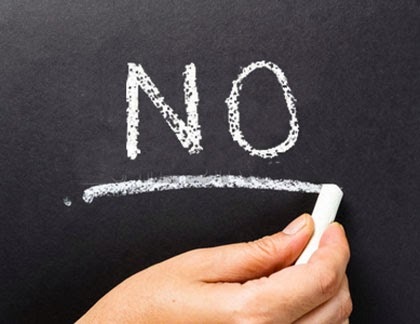 Day 1: “No” to working on Fridays. In fact, I have declared 3 out of 4 of the Fridays each month as FunFridays. These are days that I go out exploring, get a massage, or just lay low and do things I love to do. Day 2: When my husband complained about not having any laundry today, I lost it. You see, he had been stepping over the pile for 3 days—this is the part that made me upset. Today I told him that not only was I not doing that pile of laundry, as I was swamped with work and deadlines, but that he was now responsible for the laundry. The best news? The laundry is now dropped off at a laundry service where it is washed, dried, and folded. Bliss! Day 3: I was asked today to be a guest on somebody’s podcast show. Now, this happens often, and most times it is a “hell yes” but this particular individual hasn’t produced an episode if over 2 years. This means there is no audience even listening anymore, and she wanted to “use me to bring her podcast back to life.” Nope, that’s a big fat no—my time is more valuable than that. I politely declined and told her to be in touch once she rebranded it and released a few new episodes. Day 4: Today I fired a client. Now, this may sound funny to some of you, but when you work for yourself, you have to do this from time to time. It is never fun, nor easy. But this particular client was sucking the life out of me. She wasn’t holding up her end of the deal in the writing coaching, and then was blaming me for lack of progress. I ain’t got time nor energy for that! Day 5: I had to say “no” to the 4th chocolate chip peanut butter cookie I wanted to stuff in my mouth today! Day 6: An email arrived in my inbox today. Someone wanted me to free up space on my calendar to speak with her. The problem? She had stood me up two times prior. Saying no this time meant that I could protect my time in the future. Day 7: I resigned today from a dysfunctional board I was sitting on today. When the volunteer commitments are more drama than fun, it’s time for a change. Day 8: I had to remind a client today that I don’t work on Friday, Saturday, or Sunday on client work. This infuriated her—namely because she had waited until the last minute to submit work for my review. I politely reminded her of my standards and processes. Day 9: I’m taking a break from social media today. I’m on overload mode. Day 10: A new client was upset because I didn’t take checks via mail for payment. I politely offered 3 alternative ways to pay me, all online. I thought for sure I had lost that sale, but taking checks is risky, and not how I operate! In the end, she figured out PayPal and made the payment! Day 11: Today someone tried to “bargain-down” my copywriting prices. I told her that the prices on the site were non-negotiable. I have a business to run here! I lost that sale, but 2 more came in with people willing to pay the fair price. Day 13: My friend called today and asked if I wanted to go grab a drink at the beer garden. I wasn’t in a position to get up and go at the moment, and she was already there. I said “no” and felt strong for not feeling guilty about it! Day 14: I submitted a talk for an education conference in Chicago. I got the word that it had been approved, but the organizers could only fit me in during lunch time. This meant that people would be walking in and out, because lunch wasn’t provided, and they would be not fully engaged with the topic. I gave a response of “no” to the invitation, knowing that those 3 days spent in Brooklyn with my husband and cat, rather than in Chicago, would be more rewarding. • Most people are perfectly fine with the “no.” I was the one who had to get over the feelings of guilt and letting others down. • Saying “no” allowed me more time for myself, my husband, and spontaneous things that popped up along the way! • I became a happier person, because I wasn’t stressed out and “booked to the max.” I also wasn’t trying to make everyone else happy, which in turn, made me a happier individual. • I made more money in my business by saying “no” to clients who weren’t a good fit, didn’t see my value, or wouldn’t follow my processes. This was a huge breakthrough for me! • Every time I said “no,” it got easier the next time. I wish I would have started this initiative a long time ago. If you are feeling stressed, overcommitted, and worn down, I am going to encourage you to take a look at your schedule and, more importantly, how often you are saying “yes” to things out of obligation, guilt, or fear. Life is short, our time is precious, and I believe we should spend every moment doing things that light us up with passion, creativity, and love. Won’t you join me on the journey from “no” to ‘hell yes”? Learn more about maintaining a healthy work/life balance, increasing your productivity, and making more money in M. Shannon Hernandez's upcoming course, Copywriting with Heart: Learn How to Jumpstart Your Copywriting Career, Write Authentic Marketing Messages, Craft Powerful Sales Pages…and More! starting April 30. M. Shannon Hernandez is the founder of The Writing Whisperer, and her mission is to help heart-centered entrepreneurs and heart-centered authors find their brand voices, share their unique stories, gain more visibility, establish themselves as experts, and create authentic marketing messages, all through the use of smart content strategy and engaging copywriting. The Writing Whisperer was named one of Top 100 Websites for Writers by The Write Life in both 2014 and 2015. 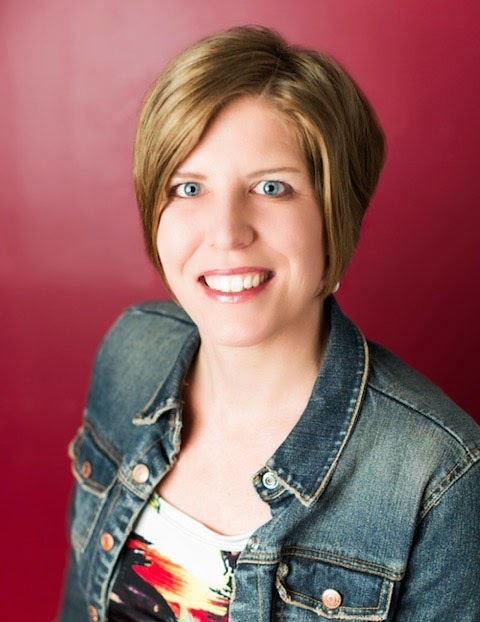 As a content strategist and copywriter, Shannon continues to educate and inspire others through her blog, guest blogs, and podcast appearances. 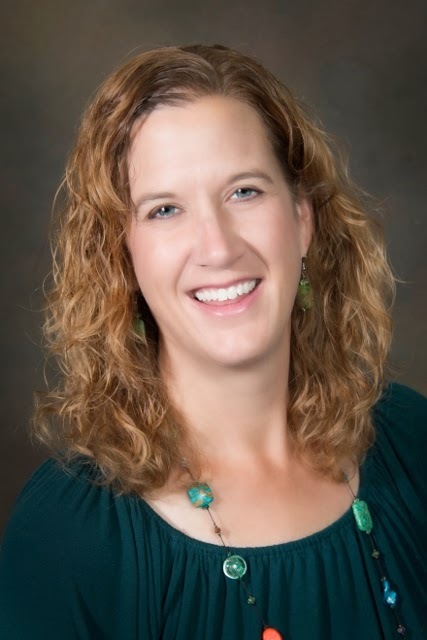 In addition to business writing, Shannon writes passionately about heart-centered education reform, and is a regular contributor to the The Huffington Post. Shannon’s memoir, Breaking the Silence, chronicles her exit out of public education, after 15 years, and provides readers an intimate view of her journey to business ownership, finding happiness, and reinvention. So what do you do if your income is all over the place? That's what I'm talking about today over at Mint.com in my article, How Freelancers Can Budget with a Feast-or-Famine Income. Check it out and cycle back! To further expand on that idea, I'd like to share a sample budget that wasn't included in the article because I was way over word count. Have you heard of the 50/20/30 rule? Well, this is a slight variation we'll call the 50/30/20 budget. The emphasis of this budget is paying down debt and putting money into your emergency and retirement funds. Let's say in the past year you made: $5400, $300, $1700, $900, $3600, $6800, $300, $4100, $8000, $500, $3600, and $5900. Average all those numbers out to create a monthly budget of $3425, and remember to subtract taxes. In this case, the tax bracket would be 25%, so you'd subtract $856 each month, which comes to a monthly budget of $2569 per month. Total: $1285, which is around 50% of your net pay. Total: $770, which is around 30% of your net pay. Total: $514, which is around 20% of your net pay. Of course, your budget would vary. And yes, this budget is tighter than a frog's you-know-what, but the idea is to create enough of a cushion in your emergency fund to provide you with three to six months of income. The rest of the article at Mint talks about streamlining your expenses and changing your business model, because the budget above is almost impossible to live on unless you have a roommate or significant other. I don't know about you, but where I live in Southern California, you can't find a rental for $700! Okay, your turn. If you have any budgeting ideas for a feast-or-famine income, we'd love to hear them! The Cruel Country is a beautifully written memoir about the illness and death of the author's mother. Author, Judith Ortiz Cofer writes even the most painful scenes with such eloquence you can't help but be drawn in. I am all too familiar with the loss of a parent, and I can say that Cofer does a fabulous job working through the many stages of grief as she helps the reader understand. What makes The Cruel Country unique is not only Cofer's perspective but in the way she ties in psychology, history, and poetry as well. I learned quite a bit while reading this well written memoir. Thank you to Cofer for braving her way into the land of bereavement and allowing readers to join her in such a personal journey. 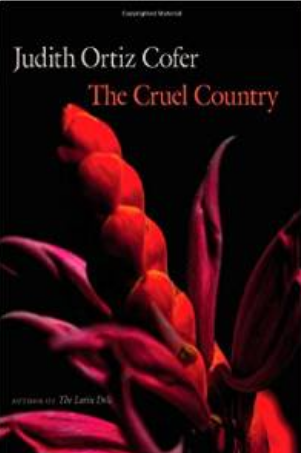 The Cruel Country is well written, well edited, and is a book I can definitely give five stars! I’ve learned a lot about Puerto Rico, the culture, and the language. Cofer is a brilliant writer and teacher. I was somewhat fearful about becoming too submerged in Cofer’s grief. I didn’t want to finish reading Cruel Country and feel overwhelmingly sad. Thanks to Cofer’s compelling writing, I closed the book feeling an overwhelming amount of gratitude. Cofer’s bravery in sharing her journey can help those with similar experiences feel less isolated and lonely. Instead of feeling sad, I felt kindred and peaceful as I closed the cover on this lovely memoir. “I am learning the alchemy of grief—how it must be carefully measured and doled out, inflicted—but I have not yet mastered this art,” writes Judith Ortiz Cofer in The Cruel Country. This richly textured, deeply moving, lyrical memoir centers on Cofer’s return to her native Puerto Rico after her mother has been diagnosed with late-stage lung cancer. Cofer’s work has always drawn strength from her life’s contradictions and dualities, such as the necessities and demands of both English and Spanish, her travels between and within various mainland and island subcultures, and the challenges of being a Latina living in the U.S. South. Interlaced with these far-from-common tensions are dualities we all share: our lives as both sacred and profane, our negotiation of both child and adult roles, our desires to be the person who belongs and also the person who is different. What we discover in The Cruel Country is how much Cofer has heretofore held back in her vivid and compelling writing. This journey to her mother’s deathbed has released her to tell the truth within the truth. She arrives at her mother’s bedside as a daughter overcome by grief, but she navigates this cruel country as a writer—an acute observer of detail, a relentless and insistent questioner. 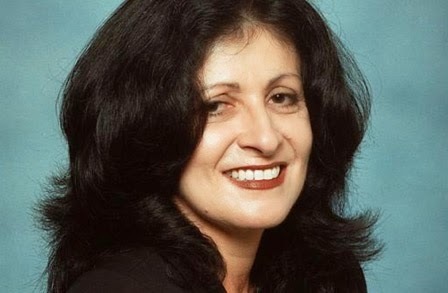 Judith Ortiz Cofer was born in Hormigueros, a small town in Puerto Rico. 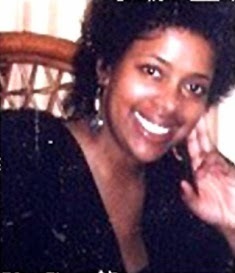 When she was a young child her father’s military career took the family to Paterson, New Jersey, but she often spent her childhood traveling back and forth between Puerto Rico and the U.S. At 15, her family moved again, this time to Augusta, Georgia, where she eventually earned a BA in English from Augusta College. She later earned an MA in English from Florida Atlantic University and did graduate work at Oxford University. Although Ortiz Cofer is best known for her works of creative nonfiction, she began her writing career with poetry, which she feels “contains the essence of language.” Her early chapbook Peregrina (1986) won the Riverstone International Chapbook Competition, and she has published various other collections of poetry since, including Terms of Survival (1987), Reaching for the Mainland (1995), and A Love Story Beginning in Spanish (2005). Ortiz Cofer’s work explores the rifts and gaps that arise between her split cultural heritages. Her early immersion in both Puerto Rican and American culture has shaped her multi-genre approach, which includes works of fiction, prose, poetry, and sometimes a combination of the three. 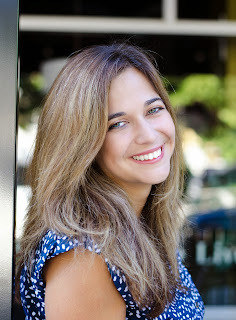 Her work The Latin Deli, which was nominated for a Pulitzer-Prize, explores various genres, combining poetry, short fiction, and personal narrative. She is also an author of children’s books. In 2010, Ortiz Cofer was inducted into the Georgia Writers Hall of Fame. 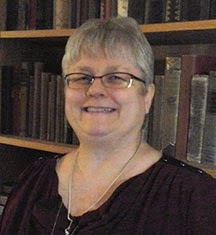 Her awards include grants from the Witter Bynner Foundation and the Georgia Council for the Arts, as well as fellowships from the National Endowment for the Arts for poetry, the Bread Loaf Writers' Conference, and the Florida Fine Arts Council. Ortiz Cofer teaches at the University of Georgia as the Regents' and Franklin Professor of English and Creative Writing. Blogging isn’t an arena you can enter into lightly, hoping for the best. If you’re blogging to be successful in your niche, it takes work. It takes dedication. It takes a plan. Here are 4 power tips to help you move ahead of the crowd. 1. Know your audience and what they need. One strategy to find out what your audience needs is to ask them in a survey or poll. You can also monitor your blog posts to see get the most views and clicks. It’s those topics that your audience is interested in. 2. Know what your focus is. If I posted an article on baking a cake, I’d confuse my audience and diminish my authority. 3. 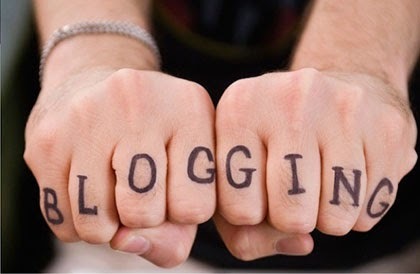 Take action steps to blog smart. The first step here is to set up a blogging schedule that will work for you. In other words, a schedule that you’ll be able to keep up with. Consistency matters. You don’t need to include every element within one post, but you should vary your posts. And, be sure your article is packed with quality information that has at least one ‘actionable’ tip. While there are other power tips, these are the top four that you should include in your blogging strategy. Join Karen Cioffi's upcoming online class, GET TRAFFIC TO YOUR WEBSITE WITH INBOUND MARKETING: Website Optimization, Blogging Smart, Email Marketing, and Social Media Marketing. Visit our classroom page for details and enrollment. A couple weekends ago, I attended a leadership and strategic planning meeting for the Missouri Writers Guild, in honor of its 100-year anniversary. If you are unfamiliar with the MWG, it was founded in 1915 by Walter Williams who was the dean of the Journalism School at the University of Missouri Columbia at that time. Over the years, the organization has encompassed writers of fiction and nonfiction who are professional writers, however you want to define the term "professional." One hundred years is a long time for any organization, which will surely have its ups and downs during its history, and MWG has had some of those. It seems in recent years, volunteers were few, and the work was plenty. Besides this, with all the changes in the publishing industry and the need for writers to connect with one another and improve their craft, the MWG has to realign its goals to the needs of its members and create a sense of passion and enthusiasm for writing, too. 1. People do still care about books and writing! When the market becomes saturated with authors and new books, it's hard to remember that each writer and each book makes a difference to someone. Even if you are not on the bestsellers list or receiving a movie contract, your book can still touch the lives of your readers. If you have a story in you, write it--no matter what happens with it. Big success is great, but so are the little ones! 2. It's important to take some time to look at what works and what doesn't for me. Just because my writing buddy can sit at the computer on a Sunday and churn out 5000 words doesn't mean I can. I have a beautiful four-year-old daughter and freelance work, so I have to fit in creative writing when I can. I shouldn't get down on myself because I have a self-publishing idea with a friend, but we haven't written a word of it yet. I am making goals and seeing what works for me, and what I need to change, so I shouldn't compare myself with anyone but myself. 3. Whatever makes me feel enthusiastic, stay with it! What project is calling to me at this time? The self-publishing one and another Maggie Mae picture book. I tried to force myself to work on a novel, which I do like, but it just wasn't flowing. It will eventually, and in the mean time, I need to stick with what is working. Although the MWG conference wasn't a usual one with editors, agents, and workshops, it was still motivating--it was a group of writers, brainstorming together to make a strong, professional, and helpful organization for its members. And it showed me that I can do the same for my own career! Margo L. Dill is the author of the picture book, Maggie Mae, Detective Extraordinaire: The Case of the Missing Cookies, to which she wants to write a sequel soon. To check out more about Margo and her two novels, please see her website at http://www.margodill.com or the novel writing classes she teaches for WOW! at http://www.wow-womenonwriting.com/WOWclasses.html. You've written the book. Your job is done. Time for the agents, editors and publishers to do their job. Oh, wishful thinking. Because the fact is, with the many changes in the publishing world the responsibility for editing (and by editing I mean revisions, grammatical fixes and checks for typos and formatting problems) is falling more heavily on the shoulders of writers. So what's a writer to do? 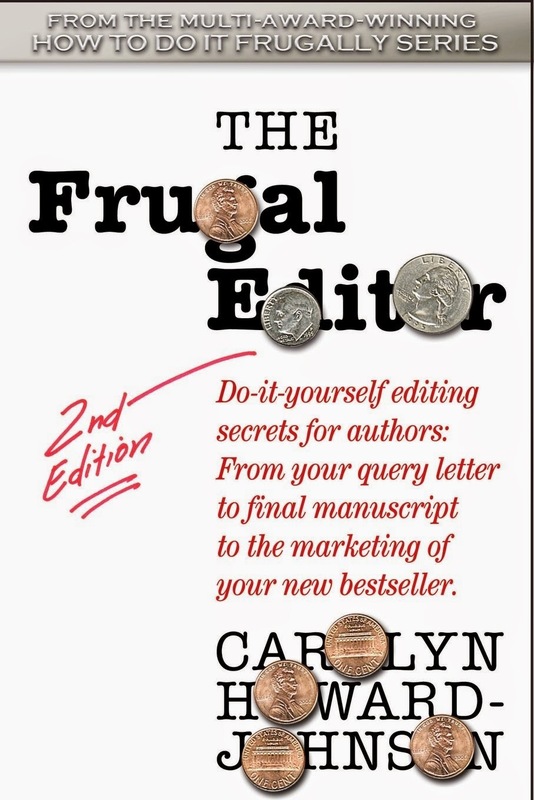 Carolyn Howard-Johnson has compiled her plan of attack in the second edition of The Frugal Book Editor. There are gremlins out there determined to keep your work from being published, your book from being promoted. They -- resolved to embarrass you before the gatekeepers who can turn the key to success for you -- lurk in your subconscious and the depths of your computer programs. Whether you are a new or experiences author, The Frugal Book Editor will help you present whistle-clean copy (whether it's a one-page cover letter or your entire manuscript) to those who have the power to say "Yea" or "Nay." It won several awards including a USA Book News award. The Frugal Book Editor is available in paperback and as an ebook on Amazon. Like most writers I dream of the editor who is going to take my manuscript, wave a magic wand and make it perfect. Too bad that mythical editor doesn't exist. An edited manuscript has a better chance of being accepted by an agent or editor. A professional editor will do a better job if you've already edited the manuscript. If obvious mistakes have been corrected, a professional editor can concentrate on more subtle (but still important) problems. In addition to providing a refresher course on grammar concepts such as split infinitives, apostrophes, gerunds, The Frugal Book Editor also reintroduces you to the magic of computers. 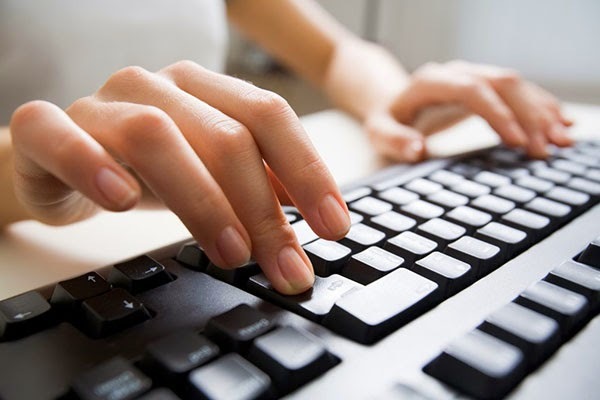 For instance, Howard-Johnson will explain the problem of excessive adverbs and then take you step by step through using the functions of your computer to bring adverbs to your attention so you can do a little editing. I learned about many tools my computer has that I never knew about. Her book is generously illustrated with funny examples as well as pet peeves and advice from professionals in the publishing world. Howard-Johnson also offers her readers extras: free information and advice she'll provide for the cost of an email and several appendices that gather lists of information, reference books and sources. Although this book is full of the nitpicky details writers like to avoid when in a creative frenzy, she manages to make the book fun with her humorous voice. As you read this book the first time, you might feel you can never absorb everything you need to know (that's how I felt). But it is the type of book you will find yourself returning to again and again for writing projects of all lengths and genres. The Frugal Book Editor will earn a coveted spot on your shelf of reference books. 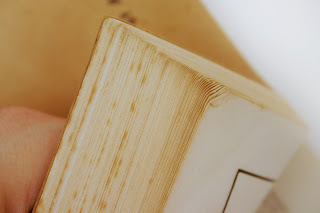 If you’re reading this post, I’m sure you know that I use the term “book nerd” in the most loving way possible. I’ve recently started posting some of my observations on Facebook and Twitter with the hashtag “booknerdproblems,” and figured it might also make a fun topic for a blog post. The book hangover. A few weekends ago, I desperately felt liked I needed a mental health break. Even though I had a zillion things to do around the house, I made the choice to download a book from one of my favorite authors, Elin Hilderbrand, that I hadn’t read yet. I parked myself on the couch until I finished the book several hours later, and after my kids had wandered through the room a few times and even brought me a box of tissues at one point. The result was that I had what I like to call a “book hangover” for the next two days. It’s a cross between a headache and eyestrain, and simply not being able to stop thinking about what you just read. It’s awesome. When you take a letter written by a fictional character personally. Have you ever read a letter in a novel or memoir that either takes your breath away or leaves you wide-eyed and clutching one hand over your chest? It’s happened to me several times. One that stands out in my mind vividly is the letter Will writes to Lou at the end of “Me Before You” by Jojo Moyes. I won’t give any spoilers if you haven’t read the book, but wow. When your TBR pile is taller than you, but you keep buying new/used books and checking them out from the library. Ah, yes. I know this one well. I have a slight problem with entering book giveaways (I swear I get a rush of adrenaline every time I come across a Rafflecopter form!) and I’ve been blessed with good luck. I have so many copies of books that haven’t even been read on my bookshelves. I've never met a book section of a thrift store that I didn't love. Also--when authors find out you like to review books, they often reach out to you and offer you free copies in exchange for reviews. And who wants to turn down a free book? You feel guilty if you watch a movie without first reading the book. I’m not sure why this is, but I feel dishonest if I make plans to see a movie without first reading the book. There have been so many cases where I didn’t read a book when it first came out, only to break down and read it a few years later after the movie trailer had been released. I did this with John Green’s The Fault in Our Stars, One Day by David Nicholls, and Kathryn Stockett’s The Help, to name a few. So now I'd love to hear about your own book nerd issues. Share in the comments below! Friday Speak Out! : How to Handle “Writing Snags” Without Coming Unraveled! It’s the one certainty of the writing life. I recently got word that a major project with one of my biggest clients required a “change of directions,” derailing my cash flow, my summer vacation, and the allocation of my time for the next four months. Earlier this year, in another detour on the path to my well-laid-out plans, a client violated our contractual agreement by establishing his OWN payment schedule for services rendered; leaving me to be "creative" in how to meet my mortgage. As a veteran freelance writer who has worked with a variety of clients worldwide, for over a decade, I’ve seen it all. And if you’re in this industry long enough, it’s very likely you will too. Clients flake out on you. Your favorite editor changes magazines. Your book’s big “debut” gets pushed back. Your computer gets infected with a virus and destroys important files for your next novel. Word to the wise: you’ll encounter many “snags” in your writing business. But, that doesn’t mean you should become unraveled in the process. You can write a “happy ending” for your efforts, maintain your sanity, and go the distance. Accordingly, I offer the following practices and principles to help you succeed. 1. Don’t be bitter, be better. When the client mentioned above failed to pay on time, I took matters into my own hands. Instead of begrudgingly accepting it, I built in a late charge for future payments. The feast or famine cycle is a reality for most of us. Here’s some food for thought: we shouldn’t have to starve for the sake of our art. If for instance, you’re a copywriter, moonlight. Consider blogging, or editing, or speaking, or teaching creative writing. The more income streams, the better. I earn extra cash by consulting and providing editorial calendars for busy bloggers and small businesses. 3. Adopt the Serenity Prayer. Stay centered. Learn to accept the things you can’t control, and have courage to change what you can. Feeling stressed and out of control can cause writer’s block. And writer‘s block can block cash flow. Get my drift here? 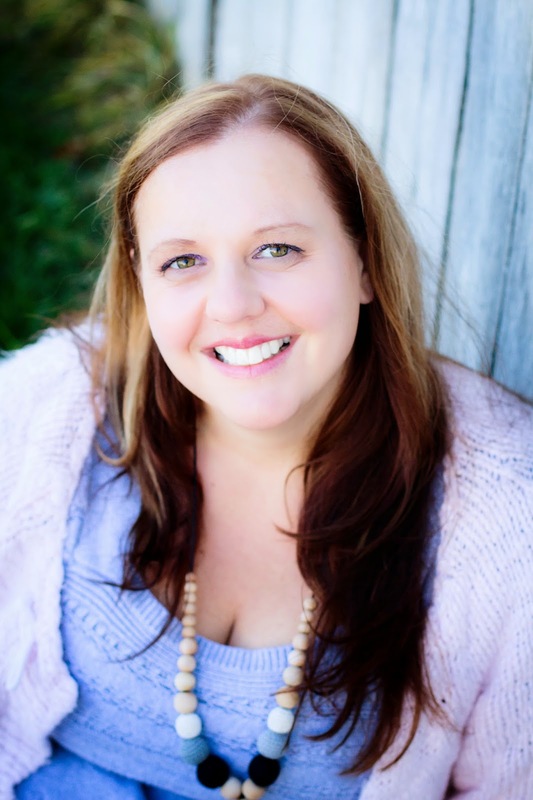 Jennifer Brown Banks is a veteran freelance writer, relationship columnist, and award-winning blogger. In her spare time, she enjoys karaoke, cooking, and connecting with other creatives. Visit her "Top 25" writing blog at Pen & Pro$per. In 2008, Steve Goedeker, who runs an appliance retail company in the US, was trying to save his family’s business and so, as a first step, he took it online. 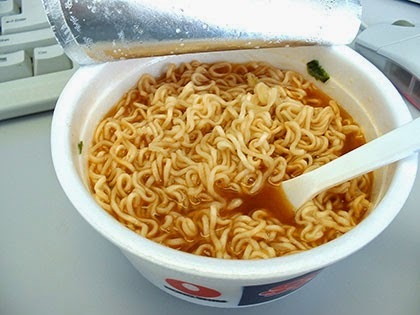 Profits soared, according to the New York Times story in which Goedeker was featured. But then something more exciting happened. Goedeker decided to replace his Google ad spend with content marketing. According to the New York Times story, they hired two full-time writers and now spend between $100,000 and $150,000 a year on content marketing efforts. Did you sniff the opportunity yet? If not, the NYT story goes on to talk about Marcus Sheridan, owner of River Pools and Spas who published a post about how much it cost to install a fiberglass pool on their blog, and—pay attention to this bit—made $2.5 million in sales from just that one single article. Another business owner in the same Times story, attributes 1 to 3 percent of their business growth ($120,000 to $360,000) directly to content marketing. Who does all this writing that content marketing requires? Freelance writers and more specifically, if industry chatter is to be believed, freelance journalists with years of experience covering these topics. Because businesses expecting hundreds of thousands of dollars return for their content don’t hire writers off oDesk to do the work, they hire writers with proven storytelling, publishing, and writing skills. I introduced content marketing into my freelancing business last year. And when I did my yearly sums in December, I found—much to my amazement—that my income had doubled from the year before. This extra income was all from the content marketing work. Even better? I’d only spent 20% of my time doing it. The work was the same. I was still writing news, profiles, and trend pieces, so why was content marketing paying more while my journalism income continued to stay stagnant? And the answers to that question are why content marketing writing has become such an amazing opportunity for freelance journalists. The revisions are almost non-existent. Both clients and agencies are eager to get the work out the door as soon as they can because they can’t afford to create inefficiencies in their business. This means that if you submit publishable content right off the bat, you will never have to endure the four to five revisions that are typical of national (US) publications. The client or agency ends up generating a lot of the ideas, which cuts down on my work time. All these things ensure that not only am I paid more (I average $300 to $400 an hour on my content marketing assignments) but that the lack of endless revisions and follow-ups regarding payment mean that I’m enjoying much more job satisfaction and joy with my writing than I have in years. More money, less aggravation, same work. That’s why I think freelance journalists should consider content marketing. Are You Already a Content Marketing Writer Without Realizing It? Ever written a guest post for a blog that sells products (e-books, for instance)? An article for a non-profit organization that they sent out to their donors? Posted social media updates for a local restaurant chain? Written health stories for the online newsletter of a medical association? You’re a content marketing writer. In fact, content marketing writing is so prevalent that it’s very likely that you’ve done it as a freelancer without even realizing it. It often comes packaged as straightforward article writing, after all, so you’d have no reason to suspect otherwise. But if it’s for a business, and the business has customers, it’s content marketing. This blog post is content marketing and if you’ve ever written for The International Freelancer, you’ve done content marketing writing. It will help you know when you’re engaging in it so that you don’t unintentionally or unknowingly cross any ethical lines that will hinder your journalism work or credibility. 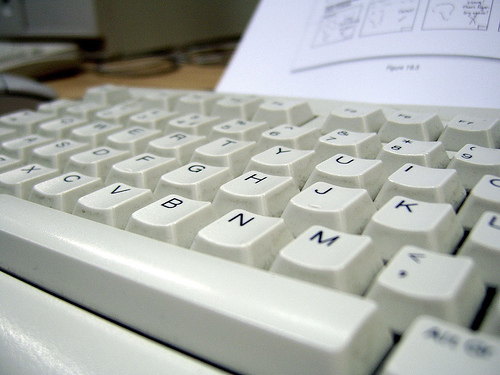 How is Content Marketing Writing Different From Other Types of Writing? All that said, there are pros and cons to everything and content marketing is no different. We’ve discussed the pros. Now let’s talk about some of the cons. You can’t be an investigative journalist if you’re also doing content marketing writing. You can’t take money from large banks to write their content and then publish articles in the New York Times about the banking crisis or offshore accounts facilitated by large banks. So yes, you will be shutting yourself off to certain kinds of work. You should be aware of this before you move forward. Some editors—and they’re increasingly rare—may not want to hire you as a journalist if you’ve done content marketing (consider that both The New York Times and TIME have content marketing arms.) This is usually also going to fall in the realm of investigative journalism, but it’s worth being aware of all the same. You’re likely going to have two areas of specialty if you want to keep your content marketing and your journalism lives separate. So, by this point, you probably know whether content marketing is a good fit for you or not. If you think content marketing might be for you, you're in for a treat! 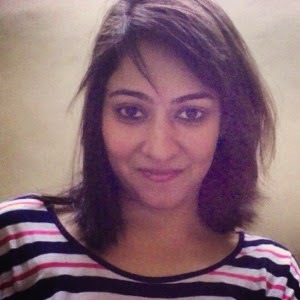 Mridu Khullar Relph, who’s been published in NYT, Time, CNN, ABC News, The Independent, and other publications, and now runs The International Freelancer, found that her income doubled once she introduced content marketing into the mix. Now she’s teaching other writers how to do the same. Check out her new course.